Join WITI and Randstad Technologies aboard the historic Clipper Stad Amsterdam as we bring together influencers and decision makers for a collaborative discussion to reframe how we think and what we do about the gender and diversity gap in the tech sector. We will explore ways to advance women of all levels, backgrounds by addressing leadership and empowerment, creating a culture of diversity and inclusion, and tangible next steps you can take action on. Silvina Moschini, widely known by technology media as @Miss_Internet, is an award winning technology entrepreneur, CNN Espa�ol industry expert and an international speaker. Her focus on changing how the world works in the digital economy led her to create an ecosystem of innovative companies that leverage the power of the cloud to connect enterprises with on-demand talent and make remote workforce management simple, transparent and inclusive. As an entrepreneur, she took her passion for disruptive technologies to become the co-founder of TransparentBusiness - a web-based solution for building talent marketplaces and managing remote teams and freelancers. She later leveraged TransparentBusiness technology and became the Founder and CEO of SheWorks! and Yandiki, online platforms that help companies scale exponentially by accessing vetted talent on demand and helping them monitor, manage, rate and pay their virtual teams. Via her social impact startup called SheWorks!, Silvina partners with leading companies such Google, SAP, Cisco, Microsoft and Facebook to provide online education and flexible jobs opportunities to empower women and help them achieve financial independence via remote-based flexible work. She also joined forces with EY to take the initiative to global scale and drive awareness on the benefits of the Gig economy not only for economic development for emerging markets but also to bridge the gender unemployment gap. 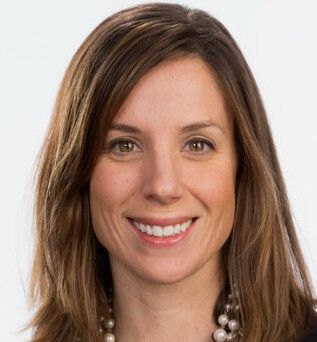 Silvina's background includes senior corporate executive roles at Visa International and Compaq Computer Corporation as well as entrepreneurial experience. She was part of the leadership team of early internet start-up Patagon that excited in 2000 for $785 million. Silvina is an Endeavor.org Entrepreneur, serves as a mentor for Google Launchpad, is on the Advisory Council of Advertising Week Latin America and is on the board of various organizations including FLOR Foundation and Dalia Empower. Prior to joining the Atlantic Health System, Debbie served as SVP and Chief Information Officer for PinnacleHealth, a $2 billion care delivery system in Central Pennsylvania. There, she oversaw technology services and resources for 162 locations, including three acute care hospitals, 70 ambulatory clinics, 18 imaging centers and 15 outpatient laboratories. With responsibility for 180 IT professionals, Debbie managed numerous programs and a full-scale Epic implementation to ensure sustainability and data security across all new and existing enterprise solutions. She simultaneously developed resources, processes and governance to eliminate unnecessary outsourcing, saving the system $12 million annually and engaging Pinnacle's own, internal IT team to ensure long-term sustainability and growth opportunities. Prior to her departure, Debbie was instrumental in helping to develop IT plans for the acquisition of 4 CHS hospitals as well as the sale of Pinnacle Health to UPMC. 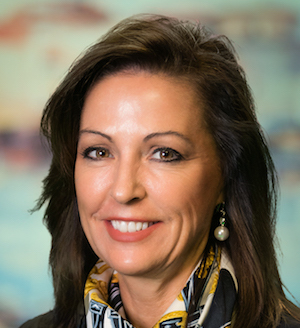 Prior to her role with PinnacleHealth, Debbie served as SVP, Chief Information Officer for Grady Health System in Atlanta, where she completed a wholesale transformation of technology and team to support the fast paced turnaround of the health system. Grady Health System was recognized in 2012 as one of the Most Wired hospitals in the nation as well as propelled from HIMSS level 1 to HIMSS level 6 under Debbie's leadership. In 2015, she was named as a Top 100 CIO and Top Female CIO by Becker's. Last year, Becker's honored Debbie once again, naming her as one of the Top Hospital and Health Care CIOs to Know and has received NJ CIO (not for profit) award in 2018. Lauren Cutting has been with CVS Health since 2013. Since then, she has had responsibility for successful delivery of IT programs and projects to support CVS Caremark - the company's Pharmacy Benefit division. Additionally, Lauren has supported the Enterprise Operating Model (EOM) a strategic 3-year program that enables technologies across the Enterprise (Retail and PBM) to maximize efficiency, increase productivity, and deliver significant value and business benefit to the entire company. Most recently, Lauren has been leading the CVS Health-Aetna IT Integration. Working with leadership at both CVSH and Aetna, she plays a key role in establishing the new IT of the combined companies. Lauren is excited about the integration journey; now in its execution phase, this ground-breaking effort is a significant contributor to transforming the Healthcare industry and putting the patient front and center. Partnering with CVS Health and the American Heart Association (AHA), Lauren currently serves as Chairwoman for the STEM Goes Red initiative in New York City. In its second year, the mission of STEM Goes Red is to help raise $1,000,000 for public education programs that empower teenage girls to pursue STEM careers. PRASANNA GOPALAKRISHNAN leads the delivery of technology solutions for Consumer, Small Business and Wealth Management Operations (CSWO). She is responsible for technology supporting the functions of enterprise card issuance, retail lock box, item processing, cash & vault management, deposit product services for both consumer and commercial clients, collection & recovery, treasury & finance, specialty and horizontal servicing, mortgage servicing, and document, content & record services. Additionally, she leads a team responsible for Consumer Anti-Money Laundering (AML) technology, Global Wealth and Investment Management (GWIM) AML strategy, and architecture and enabling services. 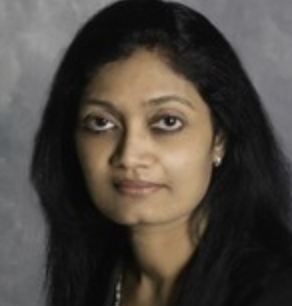 Prior to joining Bank of America, Gopalakrishnan served as Executive Vice President and Chief Digital and Information Officer at Boston Private, a leading wealth management, trust and private banking company, where she focused on digital transformation and improving the client experience. Previously, she served as Chief Information Officer of Campus Services at Harvard University. Over her 25-year career in financial services, she has also held leadership roles at Fidelity Investments, Thomson Reuters and State Street Bank in Boston. Gopalakrishnan is recognized for her leadership across the industry. Constellation Research named her one of the top business transformation leaders in 2017; and in 2015, Diversity MBA Magazine recognized her as one of the "Top 100 Under 50 Executive Leaders." Chris Martin is the key stakeholder in driving business development and oversees the execution of the company's overall sales strategy with a specialized focus on retail account growth. Chris has been instrumental in the company's initiatives tied to utilizing big data to develop intelligent sales models for the entire organization. With over 15 years in the staffing and HR solutions industry, Chris started his career with Randstad back in 2002. He moved up the ranks first as Account Manager, then as a Branch Manager, Regional Manager of Permanent Recruiting overseeing teams in the Mid-Atlantic to the NYC Metro area, and then transitioned to support all of Randstad U.S. by establishing the company's Enterprise Solutions group. In this role, Chris sold across service lines offering new business development and strategic account management to key customer around the country. 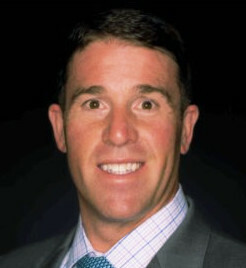 Chris graduated from University of Massachusetts, Amherst with a Bachelor of Science in Sports Management from the Isenberg School of Management.